When you're flipping the 500th burger of the day, or trying to placate a table of frustrated diners, it can be hard to see it; but that job at the local food joint could just be the most valuable of your life. 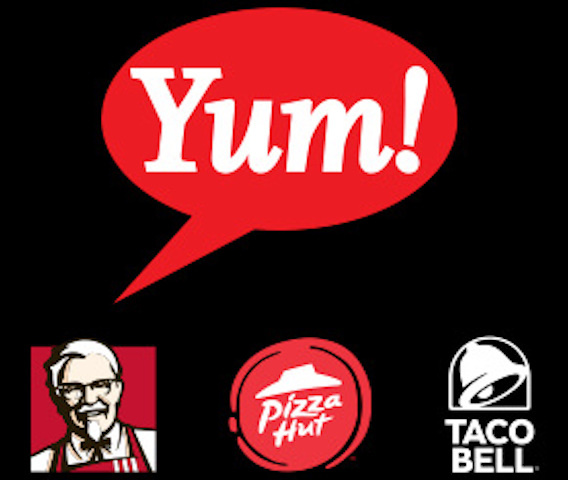 That's according to the CEO of Yum China, the country's largest restaurant company that manages big-name brands including KFC, Pizza Hut and Taco Bell. Don't worry. Joey Wat's not trying to coax you into a life behind the counter at one of her company's 7,900 restaurants. But the three years she spent working at a Chinese restaurant before college were among the most important of her career, she claimed during an episode of CNBC's "Life Hacks Live," all thanks to the insights they gave her. "I never knew that I would be in the restaurant business, but when I was 15 years old I worked in a Chinese restaurant for three years before university and I learned so much," Wat told CNBC's Akiko Fujita. Now, aged 46, Wat sits at the helm of the Fortune 500 company where she is responsible for 450,000 employees across China. She says she draws on those lessons from three decades ago — and the empathy they gave her — every day. "I can't believe how much I'm going back to that experience and thinking to what extent I should do this differently because (of what) I learned during those few years," she said. Food was not an obvious calling for Wat. At the start of her career she had no idea what she wanted to do, so instead focused on learning as much as she could and recommended others do the same. "It took me a long time to find what I'm passionate about," she said. "I believe for young people who find out what they want to do early in their life they're very lucky. Good for you — fantastic! But many young people are probably still in the searching process (and) it's okay," said Wat. "Keep learning," she continued, "because you never know when this particular experience will be beneficial for your future." That ability to learn is what enabled Wat to progress quickly and shift between industries, she said, working first as a consultant for A.T. Kearney and, later, McKinsey & Company, before working in the health retail business. She joined the food industry in 2014 as CEO of KFC China, and moved between a range of roles before taking over as Yum China's chief on March 1, 2018. She added that having a systematic approach to learning would only become more important in the future: Workers will need to safeguard themselves against automation and other disruptive technologies. "The learning bit, I just cannot emphasize how important it is. To have your own methodology, to have that curiosity and the ability to think independently about issues, it will carry any individual ... very, very far," said Wat.